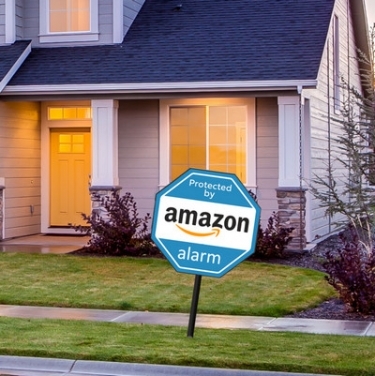 Acquiring a national alarm company could help Amazon increase recurring monthly revenue (RMR), but also pave the way for Amazon to become a chief security officer (CSO) and managed service provider for the home. 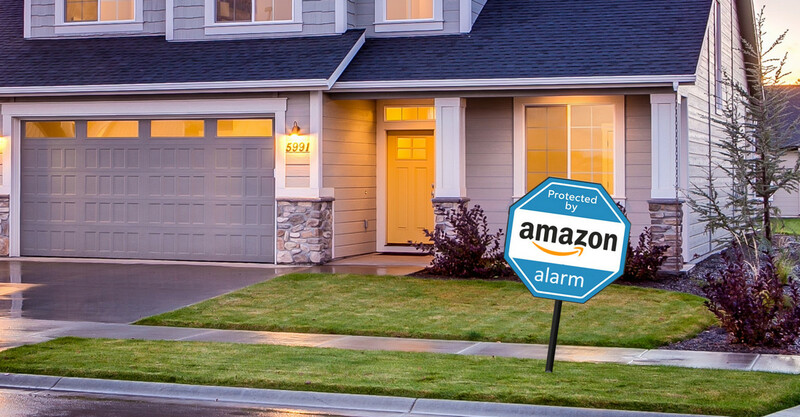 Buying an alarm company would make perfect sense for Amazon, which could use the acquired techs to sell more security and home-automation gear and reduce the cost of truck rolls by saturating the market. In April, a bunch of online publications made a big deal about Amazon getting into the security business, with tantalizing headlines about the e-commerce giant “quietly” launching home-security installations and services. Turns out the “big news” was nothing more than a page on Amazon.com touting the same old “smart security” products Amazon has sold for years, along with the same old Smart Home Services the company deployed in 2017. 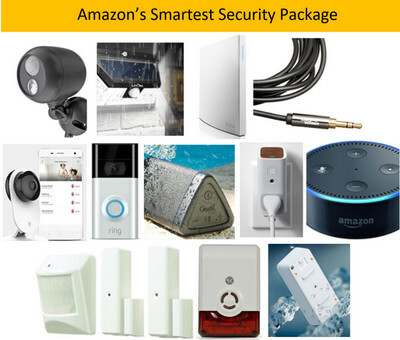 Amazon is now bundling five “smart security packages designed for peace of mind,” with the “smartest” kit selling for $840, including installation (see products, prices in the sidebar below). That bizarre bundle includes a Ring video doorbell—battery-powered only, not hardwired—along with a Wink home automation hub, Amazon Echo Dot, a cheap IP camera (Xiaomi Yi), an indoor air quality sensor (Awair), a couple of motion-activated floodlights, and a few Z-Wave security sensors. There will be something big, and it will probably happen within a year because Amazon needs feet on the street—lots of them—for the next important phase in their evil plan to take over the smart home. As I said, big whoop. Nothing to see here. Just Amazon throwing together a bunch of the cheapest products it could negotiate. But there will be something big in security, and it will probably happen within a year because Amazon needs feet on the street—lots of them—for the next important phase in their evil plan to take over the smart home. Amazon can't install their own security products (Ring or others) without alarm certifications. They want as many technicians as possible driving around in service vans in order to reduce the cost of a truck roll and hasten service—just as with Amazon deliveries. They want to increase the tab on every single service call by selling more items with each site visit. It’s pretty simple to attach home-automation and networking devices to security projects sold/installed by a pro. They will want an excuse to build out a remote network monitoring and management system for consumers. They will become the managed service provider for the home. Last year, Amazon launched Smart Home Services. 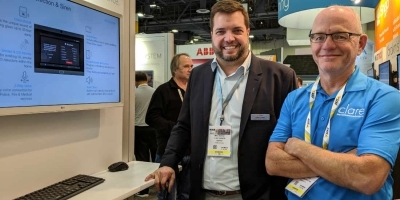 Since then, they’ve been hiring and training technicians as fast as possible to do free “smart home consultations” and Wi-Fi assessments, and to install and service products like those mentioned above. The reason their “security” packages today are so silly (see below) is that they don’t have licensed security dealers to do real alarm systems. In fact, we imagine Amazon techs can’t even install the Ring doorbells in many jurisdictions due to licensing requirements for surveillance-system jobs. Where, then, does that leave Amazon with its shiny new $1 billion acquisition of Ring (Bot Home Automation)? The Comcast's and ADTs of the world employ armies of professionals to stay on top of local regulations. On top of the alarm and surveillance laws, there are rules for installing door locks and low-voltage gear, including silly things like power-over-Ethernet. 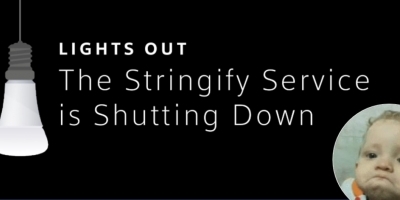 That probably explains why Amazon isn’t installing Ring’s wired video doorbells as part of the security packages. The other explanation would be that doorbells can be tricky to install, depending on how a front door is (or isn’t) wired. It would make perfect sense, then, for Amazon to acquire a large national security provider. Once Amazon has hundreds or thousands of qualified technicians in the field, they will be able to provide near on-demand service for installations and “consultations”—not unlike what Uber does today with rides, and Amazon does with deliveries. Today, not even Amazon can make much money charging $129 to install a thermostat or a video doorbell because…truck rolls. But when the fleets get bigger, and the techs more plentiful, the price of a truck roll tends toward zero. Take a logistics powerhouse like Amazon, and every last second of a tech’s time will be spent selling and installing, rather than wasting gas going to and from customer homes. Amazon has promised to provide smart-home services for Lennar’s “Wi-Fi Certified” homes, but it’s having a tough go at it, sources tell us. 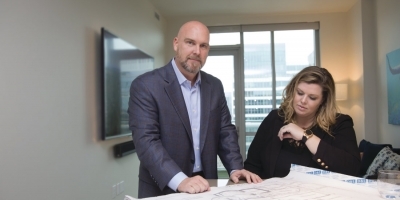 With its 2017 acquisition of CalAtlantic, Lennar is expected to build some 41,000 homes per year. There’s no way Amazon can service these communities without a large fleet of qualified technologists, and a professional security offering to boot. I’m pretty sure Lennar is begging Amazon to do something fast on this front. The best way to get a whole bunch of home technologists – especially in this painfully tight labor market – is to acquire a security company because there are no general purpose national “smart home” installation companies that aren’t attached to an alarm company, except for Geek Squad. Amazon can’t sell stuff. They can “carry” stuff but they don’t sell per se. They have that really sophisticated recommendation engine for online shoppers, but it isn’t terribly useful if someone buying a security system sees a suggestion to “add smart lights” to the order. A trained home technologist, however, can easily connect the dots for customers: Wouldn’t you like your lights to turn on during an alarm event? Don’t you want a better Wi-Fi router for that new wireless video doorbell? Hey, did you know your particular 911 provider won’t dispatch police without video verification? …I have all these goodies on my truck because we have the very best research on the planet so I knew you’d want me to go ahead and install them now. Today, not even Amazon can make much money charging $129 to install a thermostat or a video doorbell because … truck rolls. But when the fleets get bigger, and the techs more plentiful, the price of a truck roll tends toward zero. 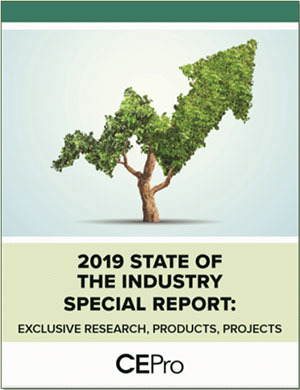 Professional security dealers report 36% of their alarm systems include networked cameras, according to smart-home research firm Parks Associates. The pros even manage to attach smart thermostats to 16% of their security jobs. It would be surprising if Amazon.com had this kind of success with attachment sales. Amazon's new "security packages" entail two customer visits—one for the initial in-home visit to "identify your needs and learn more about what you want," and the other to install and configure devices. Considering the street price of Amazon's "Smartest" package, we have an effective labor charge of about $232 total for those two visits (math below). Even with decent product margins that Amazon can eke out of vendors (especially the ones it owns), that's still not a whole lot of money for two service calls. The math is below. 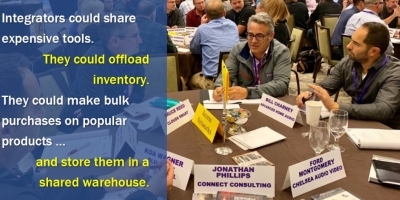 In motivation #2 above, we discussed adding to the bottom line by saturating the market with service providers to drive the cost of truck rolls to practically nil. Now we consider adding to the top line by selling more things. Sure enough, "Every home is different," Amazon says in promoting the security packages. "That's why your smart home experts customize your package. Your expert can tailor it by adding more cameras, upgrading to the Echo Show, and more." What a coincidence...Amazon itself makes cameras (Ring) and the Echo Show. Per item #3 above, a couple hundred dollars for two truck rolls might not be so hot, but what if those truck rolls opened doors to more Amazon sales? Like, literally? Simple: The security dealers install smart locks and cameras for Amazon Key—the service that facilitates unattended access to customer homes—and paves the way for additional Amazon deliveries, whether from Amazon.com, Amazon-owned Whole Foods, affiliated restaurants, or all the countless products and services Amazon will launch in the future. 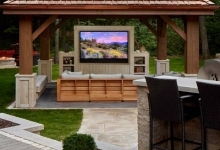 There's a saying among home-technology integrators: Own the network, own the home. With the emergence (presumably) of the “home CSO,” the saying might go more like this: Own the security, own the network, own the home. Alarm providers are already protecting your physical property, so they’re in a strong position to protect your digital property while they’re at it—the premise of the “home CSO” we reference in our Top 5 Home Tech Trends report for 2018. Why not? They’re already touching your security system and IP cameras—things that sit on a home network. 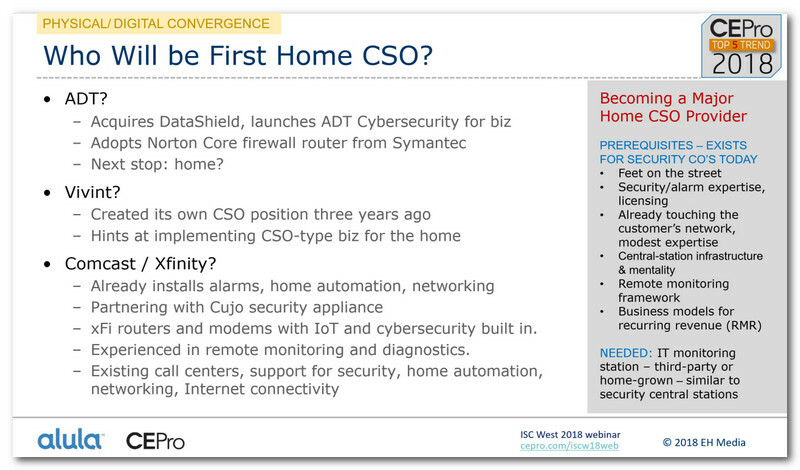 It’s why Comcast is partnering with Cujo for the Xfinity Home security and automation service, and ADT is adopting Symantec’s Norton Core and building its cybersecurity portfolio with acquisitions like DataShield. Some company will come to be the "chief security officer" of the home. Amazon? Amazon won’t stop there. 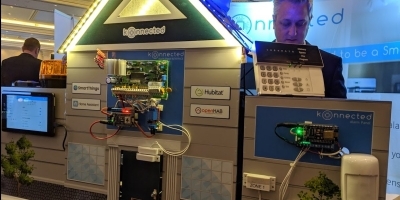 It will want to tunnel into the home networks it “owns” so it can provide remote tech support and “managed services” for all the things it sells and installs. Want to reduce the cost of truck rolls? Don’t roll a truck. Do it all remotely with software used to predict technology failures (Amazon knows a thing or two about AI), troubleshoot tech issues, and fix problems before they happen. Those problems, by the way—caused by product failures, network issues, power surges, human error and so many other unknowns—are the same problems that cause people to return products to Amazon at great expense to the company. And while Amazon would actually be saving money with such a service it will make money in the process by charging customers for this service. And then it will pile even more revenue on top of the managed-services fee because it will have such deep data into product usage, failures, and other tech happenings that the rest of us won’t stand a chance. This is Amazon’s Holy Grail. And it will all start with the acquisition of a security company because Amazon needs feet on the street to sell, install and service technology in the home. Vivint currently has about 1.3 million subscribers, according to the SDM 100 list of top security companies, and gross revenues of $882 million for 2017. The company is a sales machine, making its vast fortunes in door-to-door sales, but now diversifying with new models like in-store sales through Best Buy. Of course, the Best Buy connection could be a curse for Amazon. Those two companies don't get along too well. 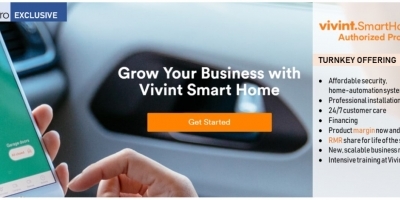 Vivint wouldn't be Amazon's only option, however. For example, GUARDIAN PROTECTION SERVICES in Warrendale, Penn., has decent national coverage, with 327,000 monitored accounts. The SDM #5 company is part of the Armstrong Group of Companies, which owns several regional communications companies to make things interesting. Cable companies and telcos could feed Amazon with additional human resources at a time when the supply of skilled technical labor is severely constrained. And then there's BRINK'S HOME SECURITY (formerly Moni, nee Monitronics), with its vast network of independent security dealers. After Moni (SDM #3) acquired rights to the Brink's moniker last year, the company went from virtually zero brand recognition to the #2 most recognized brand in home security. Amazon + Brink's? Yowza. VECTOR SECURITY, also based in Warrendale, Penn., could be another interesting prospect for Amazon. The SDM #4 provider is owned by the country's oldest insurance company, The Philadelphia Contributionship, which could give Amazon a boost in that business category. 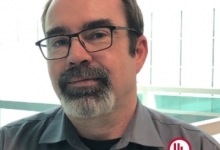 More interesting, perhaps, is that Vector has expanded its offerings into managed network services for commercial businesses. While these services have yet to come to the consumer market, I am fairly confident that traditional alarm providers will begin to offer both physical AND digital security services in the very near future. We can expect to see the role of Chief Security Officer (CSO) in the home following the same trajectory as in enterprises and small/medium businesses. 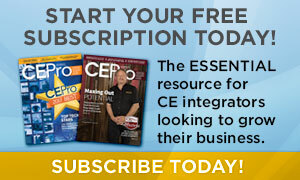 "Home CSO" was named a CE Pro Top 5 Home Technology Trend for 2018. One way or the other, it will happen, and Amazon will come to own a security installation company and central station, with access to hundreds or thousands of alarm techs. That could be a problem for traditional home-technology professionals ... which we'll address in a follow-up story next week. The price of Amazon's "Smartest Security Package is $840 installed. Here are the products in Amazon's "smartest" security bundle, along with their retail and/or street prices. Starred items* are owned by Amazon/Ring. Julie is only stating the obvious here. It is not a question of if Amazon will buy a security company, it is only a question of when. I wish it weren’t so, but it is going to happen anyway. When we read George Orwell’s 1984,we all assumed Big Brother was the government. We were wrong. The one working to become the real “Big Brother” is Jeff Bezos. That is not to say, though, Amazon will be able to accomplish its ruling of the world overnight. There is still room for the smaller guys who work smart, and stay in the high end. There is no way to compete with the likes of Amazon, so we have to learn to be in markets Amazon does not target, high end residential and commercial. I changed my mind. Julie’s still the best. I used to think you liked us Julie, but this article has me sitting here crying. Why do you to want Amazon to put us all out of business? No more soup for you! It’s a matter of time, not if, I believe at will be Vivint or ADT.